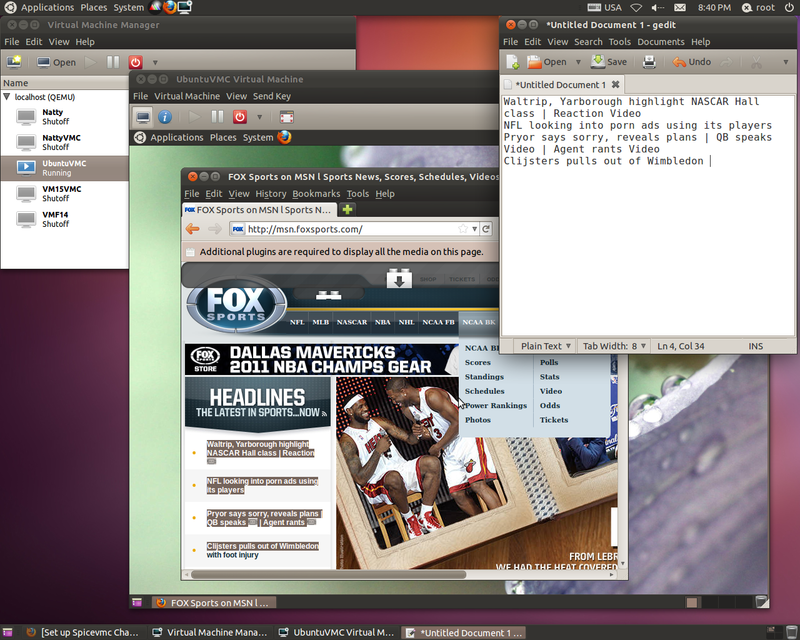 # sudo yum install spice-vdagent. 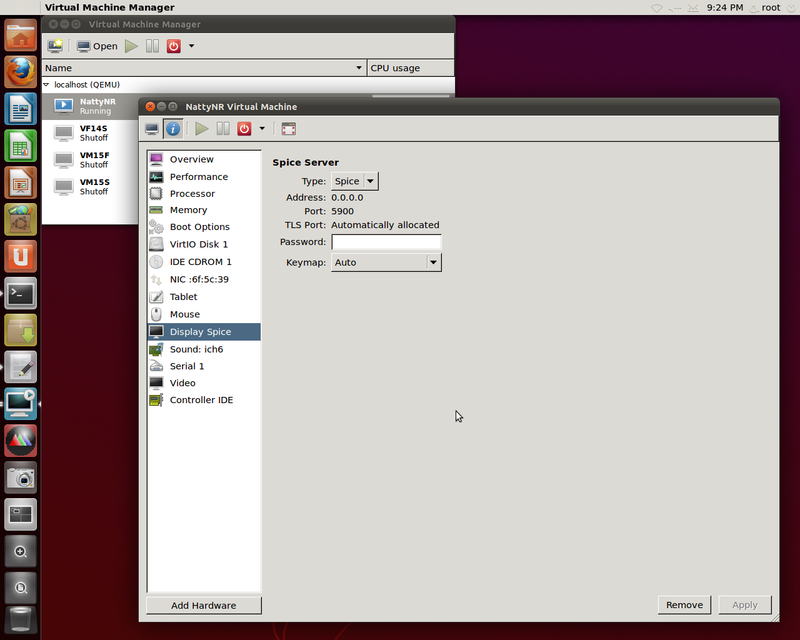 It provides an option cut text in VM Spice screen and paste in KVM Server Ubuntu 11.04 desktop environment and vice versa …. 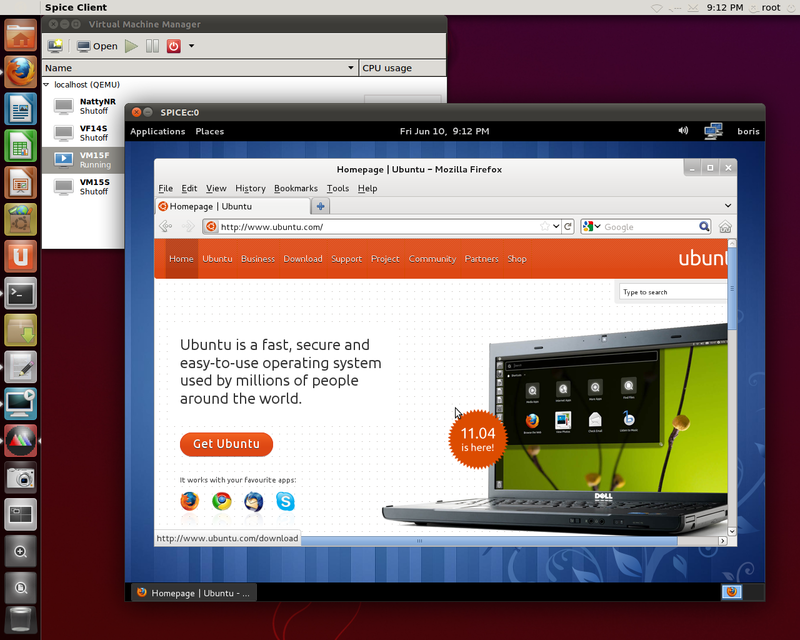 When done install spice-vdagent for Natty via PPA Spice on Ubuntu 11.04 and 11.10. Update on 06/17/2011. 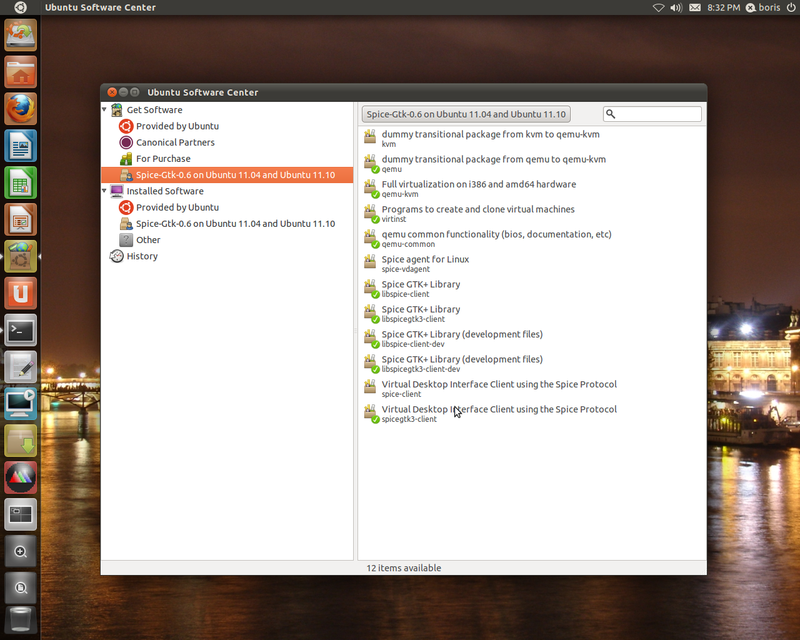 Current versions of spice-vdagent install service and *.desktop (file) automatically and require guest restart for activation or manual gdm restart and starting service. 2. Then create service spice-vdagentd. Current Build is just for testing. All actions above should be incapsulated in debian package. 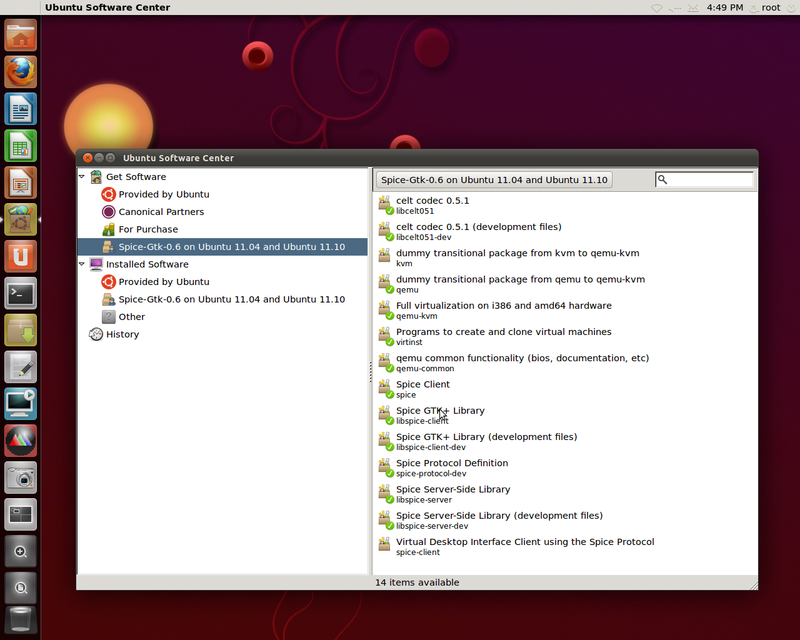 Packages from PPA Spice-Gtk-0.6 on Ubuntu 11.04 have been rebuilt and installed on Oneiric Alpha 1 + (apt-get update; apt-get upgrade) as of 06/10/2011. 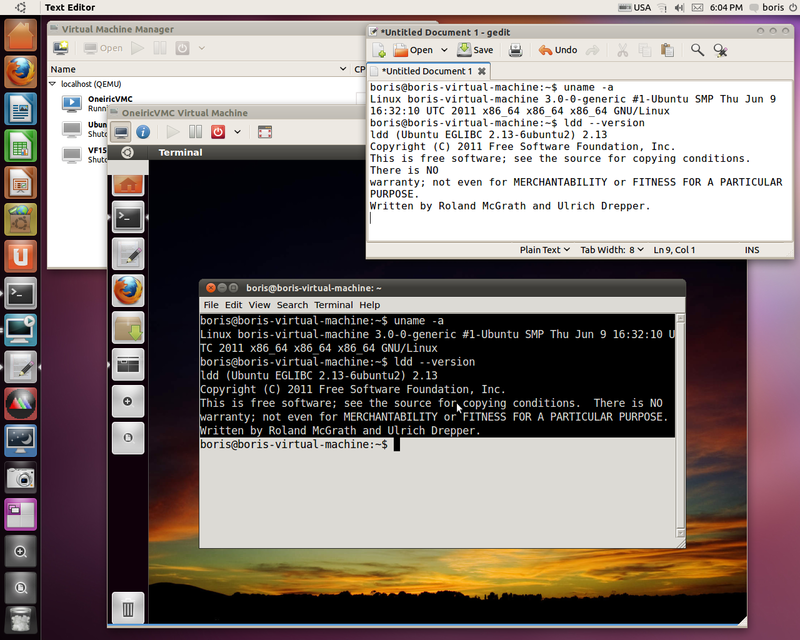 Virt-Manager is able to perform guest’s installs with either VNC Server or Spice Server & Video Mode “VGA”. 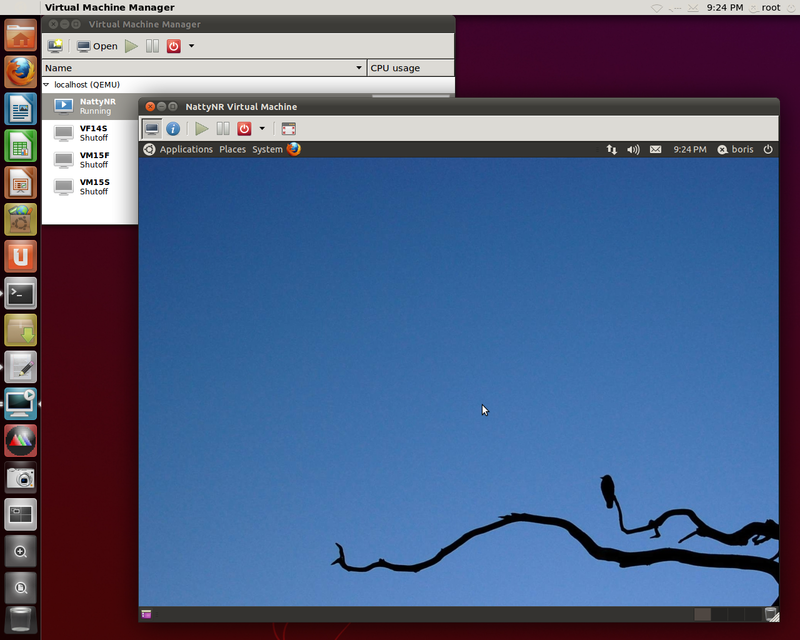 Afterwards guest’s Grapics may be switched to Spice Server and video mode to “QXL” Spice sessions run normal via Virt-Manager and spicec as well. 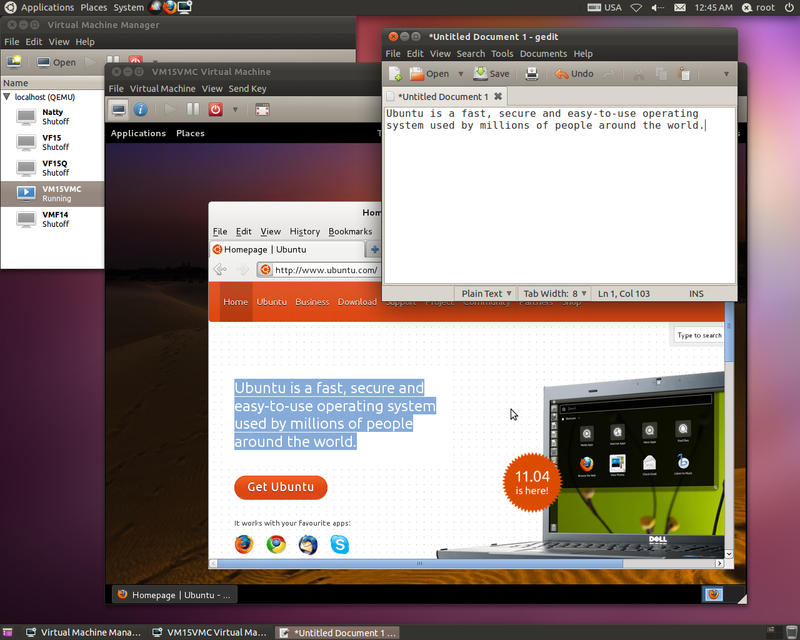 As of now all packages from Spice-Gtk-0.6 on Ubuntu 11.04 and Ubuntu 11.10 are rebuilt for Oneiric and uploaded to the same PPA. 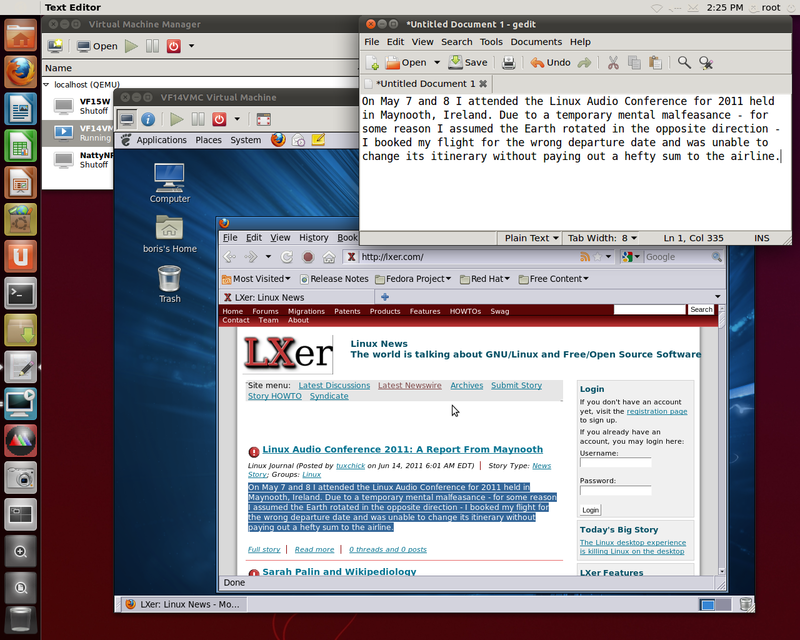 You are currently browsing the Xen Virtualization on Linux and Solaris blog archives for June, 2011.